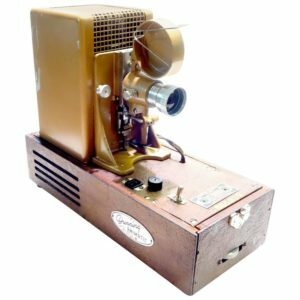 Submitted for your approval is this circa 1940s, 16mm AMPRO Motion Picture Movie Projector in absolutely pristine condition. Offered as a wonderful Art Deco display artifact for home or office or a collection. 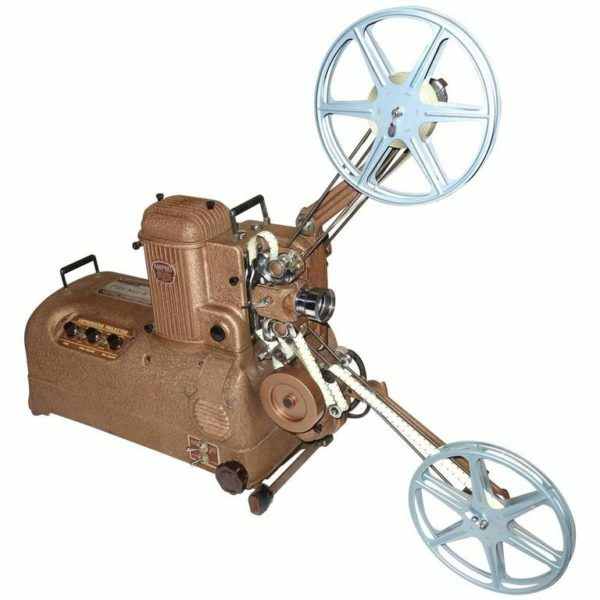 This hard to find pristine movie projector looks as new and fits in so many interior applications. A beautiful and historical display piece. As new original paint and finish. We can substitute, at no extra charge, larger vintage reels with film if buyer requests that look. 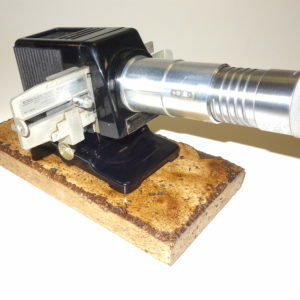 A true vintage Art Deco Motion Picture artifact.